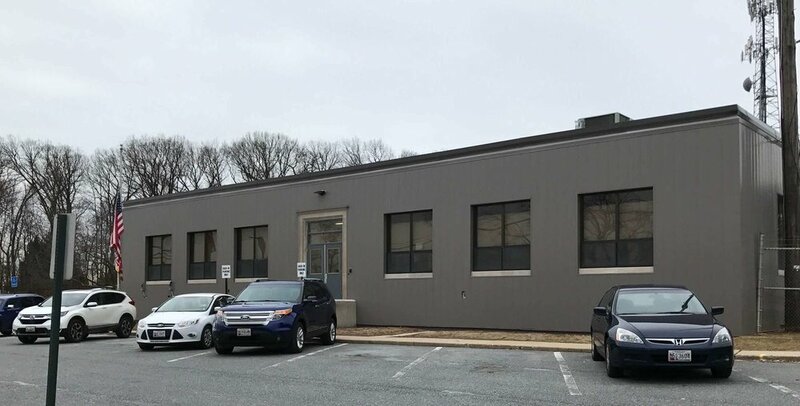 This exterior renovation project consisted of installing new self-adhering waterproofing to the existing masonry walls around the entire perimeter of the Utility Service Center. New hat channels were mechanically fastened to the prepared walls. New non-insulated wall panels were installed with all associated custom fabricated trim metals and flashings. Numerous wall penetrations were enclosed in the wall system while providing custom metal fabrications for access. Security cameras, door key swipe access, lighting fixtures, and more were closely coordinated for disconnection and reconnection with the owner while minimizing impact on day-to-day operations at the center while work progressed. The project required a tight overall schedule with completion through the Winter elements. Technical expertise, custom fabrications, and attention to detail were critical to pull this project off.